Cathy Pacheco, the store manager of the Barnes & Noble Bookstore was recently awarded the prestigious Next Gen Leadership Award at the Barnes & Noble College annual conference in Orlando, Fla. Awarded annually to just five individuals, this award recognizes store managers who embody all of the qualities of next generation leaders and have demonstrated outstanding skill in building relationships on their campuses. Upon notification of the award, Associate Director of Auxiliary Services John J. Byxbe added, “Cathy takes a great deal of pride in what she does and the impact it has on the College community. For her, the relationship is not defined by the letter of the contract but instead it is about being an active member of this community and working to find ways in which the bookstore can improve the quality of life for all those that call Williamsburg ‘home.’"
Pacheco has been the general manager at the bookstore since 2007. 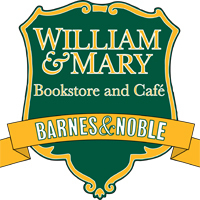 Located in Merchants Square in Colonial Williamsburg, the William & Mary Bookstore, operated by Barnes & Noble Booksellers, is the College’s retail location for textbooks, general books and William & Mary memorabilia.